Ferrara Pan—the Forest Park maker of Lemonheads, Atomic FireBalls, and Red Hots—announced yesterday they&apos;re merging with Farley&apos;s & Sathers in Minnesota. 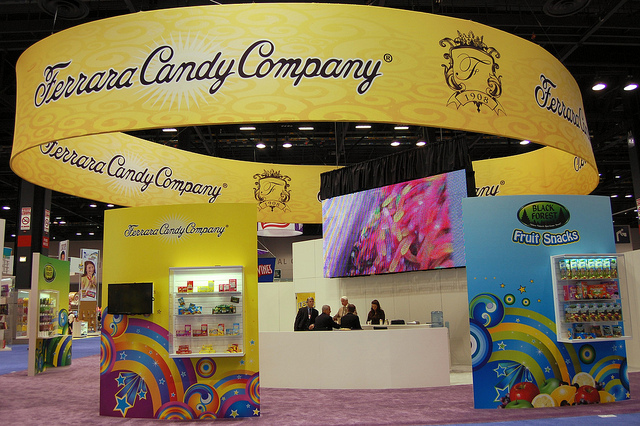 "The combined company, Ferrara Candy Company, Inc., will maintain the century-old Ferrara name and will be led by longtime industry leader Salvatore Ferrara II, the Chairman and CEO of Ferrara Pan. Terms of the transaction were not disclosed," says the press release. No word yet on the future of the Eisenhower Expressway adjacent HQ and local jobs. This explains their booth signage at the 2012 Sweets & Snacks Expo held recently at McCormick Place—just before the NATO Summit and protests. "The word &apos;pan&apos; in the company name indicates that some of the candy we make is &apos;panned,&apos;" says the current Ferrara Pan website, "This process involves building candy pieces from single units, such as grains of sugar, nuts or candy centers, tossing them in revolving pans while adding the flavor, color and other candy ingredients...until the pieces become the desired size,"—like their Jaw Buster size. There is no gummy—or gummi—Venus de Milo at what was once simply called the Candy Show, which now recognizes savory snacks. In the infamous "Homer Badman" episode of The Simpsons, Homer and Marge visit a candy trade show, where he steals the rare, chewy miniature sculpture—then eats it. But I ask at Haribo, makers of the original gummi bears in 1922, every year. 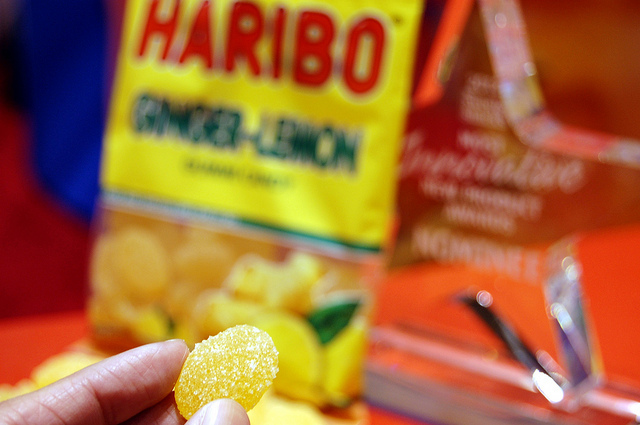 This September however, they are launching the Ginger-Lemon Gummi Candy in the U.S. You may have tasted this Ingwer-Zitrone flavor in Europe first last year, then Asia. Brown & Haley&apos;s new Dark ROCA won this year&apos;s Most Innovative New Product Award in the gourmet/premium category. A panel of industry experts analyzed packaging, concept, salability, and taste to pick winners in eight categories: chocolate, non-chocolate, sweet snacks, salty snacks, savory, novelty/licensed, seasonal, and the aforementioned gourmet/premium. This doesn&apos;t surprise my family, big fans for generations of the original Almond ROCA, first made in Tacoma in 1923. What may surprise you is that the pink tins filled with gold foil wrapped buttercrunch toffee, coated with chocolate and rolled in crushed almonds, continues to find their biggest market in Asia. 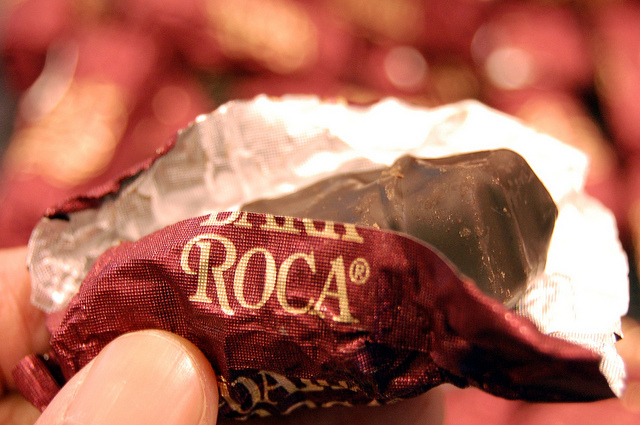 In fact, walk into nearly any grocery store in any American Chinatown today and you&apos;ll find the distinctive Almond ROCA tins in the gift section. 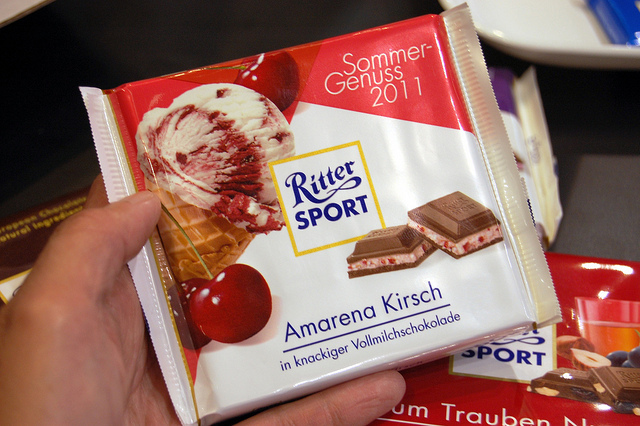 Ritter Sport will release their chocolate cherry cream here this summer, as they did in Europe last season. Have you seen any of the Ritter Sport commercials in Chicago? Their reps told me the company, based just outside of Stuttgart, is testing their first TV ads ever here because of our German immigrant demographic. 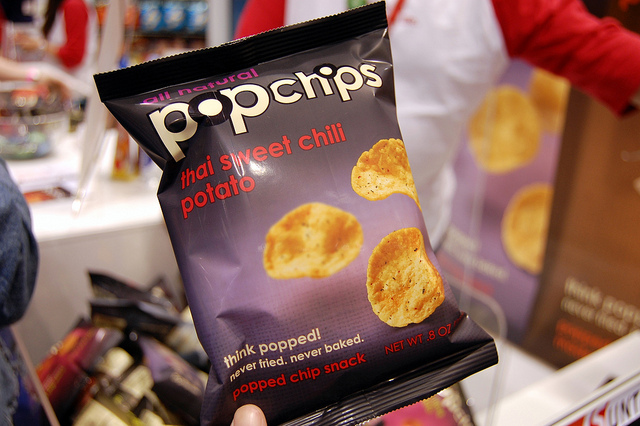 On the snacks side, Popchips did a limited edition pop up of their new Thai sweet chili potato as well as sweet potato flavors at Cost Plus this Valentine&apos;s Day, but they will be available widely soon. 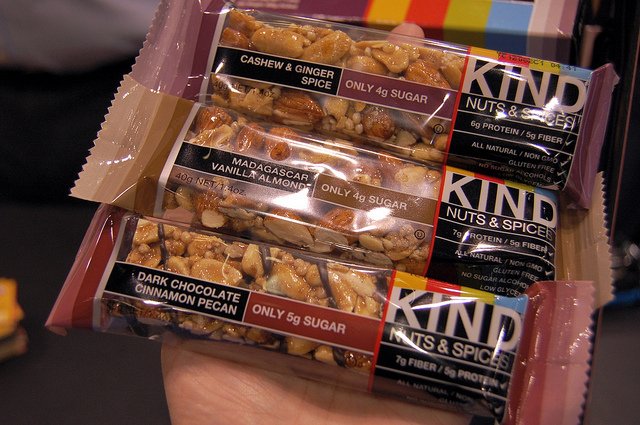 KIND&apos;s new Nuts & Spices line sees three new additions: Cashew & Ginger Spice, Madagascar Vanilla Almond, and Dark Chocolate Cinnamon Pecan. Their rep pointed out to me that their bars are wrapped in clear sleeves so we can see what they&apos;re made from. But it&apos;s not all about the new at the show. 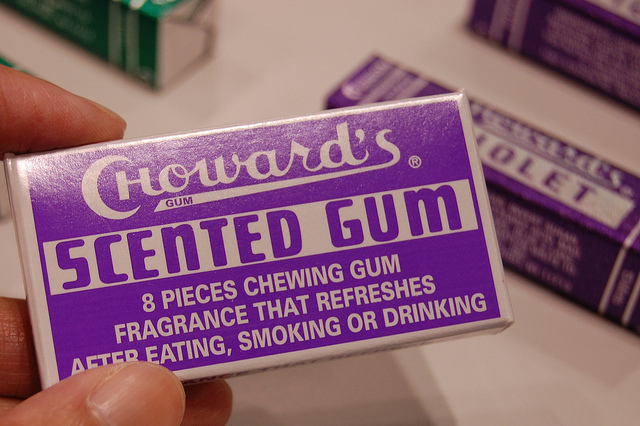 Choward&apos;s—makers of the unique violet mint gum and candies since the early 1930s—endures, and appeared on Mad Men. For more on our city&apos;s candy history, remember to visit “Sweet Home Chicago: The History of America’s Candy Capital" at the Elmhurst Historical Museum. And yes, there will be candy.